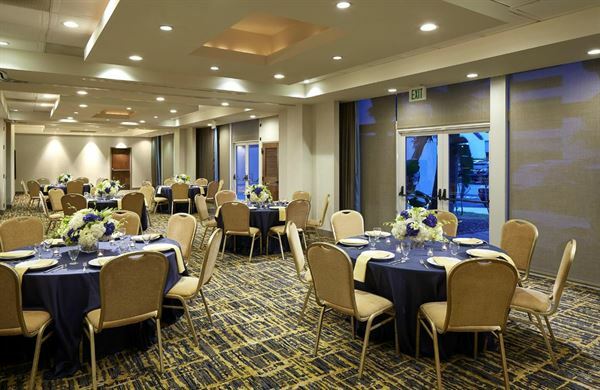 DoubleTree by Hilton Hotel LAX - El Segundo makes planning and hosting easy. Whether you’re organizing a conference, sales presentation or corporate event, rely on our team's expertise to provide the perfect accommodations for any occasion. Meeting and Events Highlights • A/V services • First-class catering facilities and customizable menus • Experienced personnel ensuring event success • 24-hour complimentary LAX airport transportation and parking Please review our attachment for more options. Divide and setup Pacific Palisades to fit your group perfectly. Natural sunlight, A/V capabilities and options for outdoor lunches or midday coffee breaks will be sure to impress your clients. Our lobby restaurant serves the seafood fare you'd expect from a beachside restaurant without needing to drive to Redondo Beach or Marina Del Rey. On the menu you'll find exotic Mahi Mahi and "Fresh From The Sea" Tuna Poke alongside familiar salads, sandwiches and shareables. Claim the conference table in our Malibu room and enjoy natural sunlight, A/V capabilities and options for outdoor lunches/ midday coffee breaks. Take your next meeting outside and enjoy the California weather as you give your next business presentation. Special Features: Wireless high-speed internet, Business Phone Service, Fax & Express Mail. Special Features: Wireless High-speed internet Business, Phone service, Fax & Express mail.